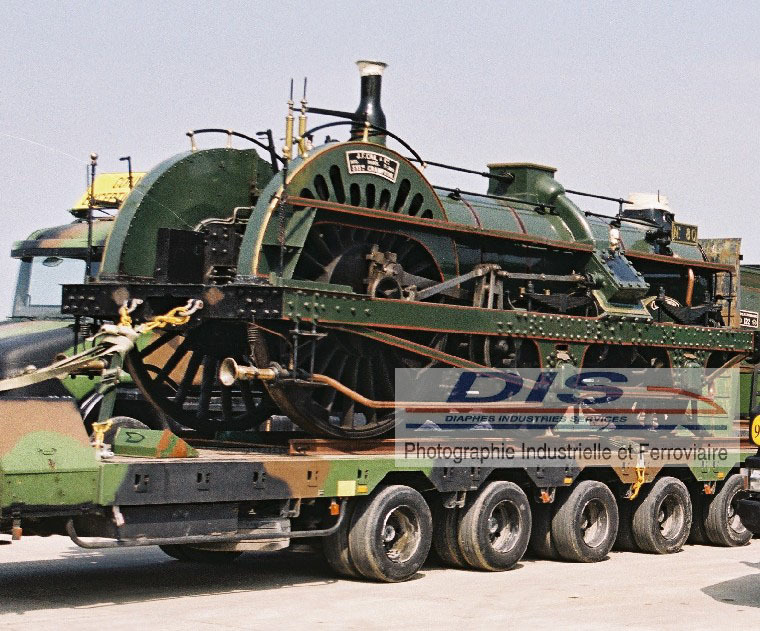 This steam locomotive was conceived by the English engineer, Thomas Russell Crampton (1816-1888). Thomas Crampton became famous with the installation of the first underwater cable linking England to France. 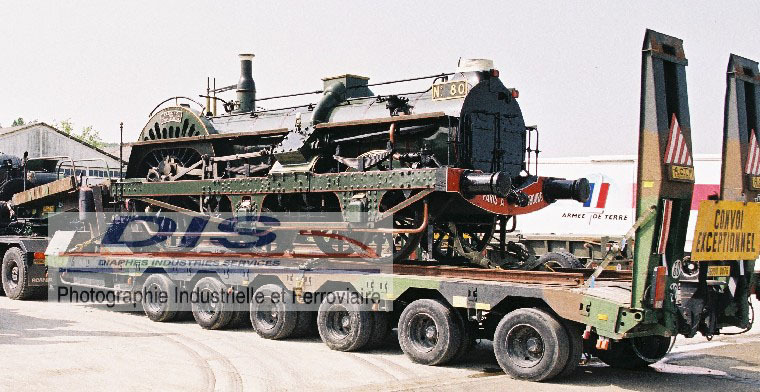 He designed the first high-speed locomotive and chose large power wheels (2.14 metres in diameter) for his steam locomotive. Its commercial speed (100 kph at the beginning) climbed to 120 kph in 1853. With a weight of 20 tons, the Crampton locomotive has three axle-trees (with only one power axle-tree at the back of the locomotive). 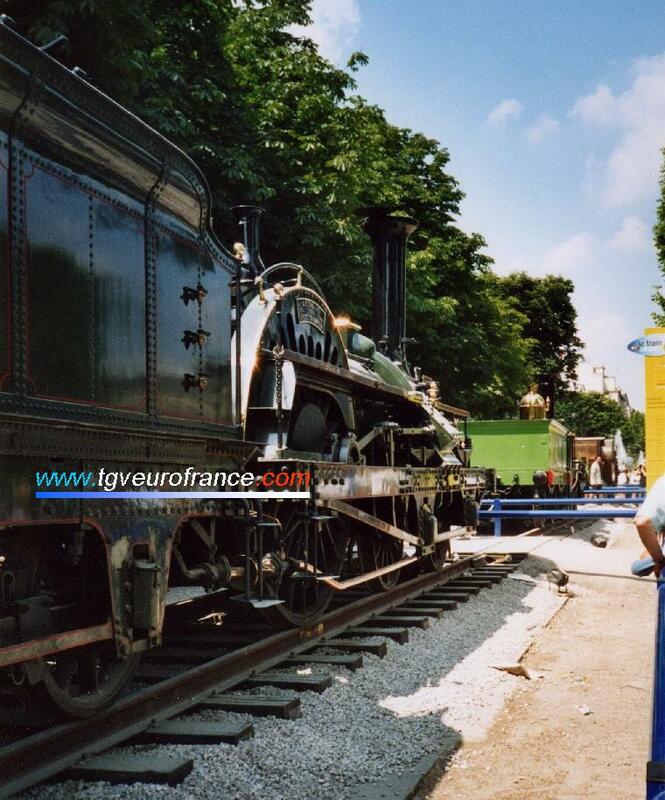 The Crampton locomotive was successfully used in France. It began the commercial service in 1848 in the rail network in the North of France. Then, the PLM (Paris - Lyon - Marseille) company adopted it. 40 models were used between 1855 and 1864. The Crampton locomotive also circulated in the East of France on the Paris - Strasbourg line. Back to the pictures of the "Train Capitale" show.